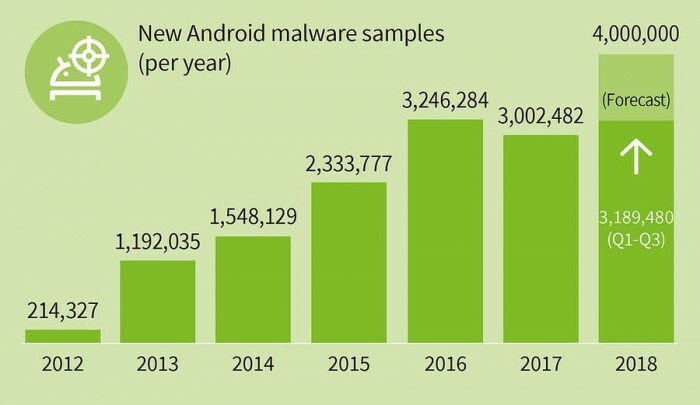 The report pointed out that on average, about 11,700 new Android malware samples were found every day. The threat of the Android platform is deepening, and many users are at risk of being attacked by devices. In addition, because 80% of the world’s mobile phones are Android systems, the Android platform is also the target of hacker attacks.